Don’t let a small pain turn into a major problem! Getting hurt at work happens, and we are here when it does. We have previously touched on workers compensation treatment and work injuries with the main focus of treatment being Chiropractic. Because most common work injuries cause a sprain/strain, Chiropractors (specifically sports-med) are the ideal provider to provide quality comprehensive rehabilitation care. If you have been injured through a work accident, you have the choice of what kind of care you would like. Many times you have the choice of who you want to be the attending physician for your care. It is common for the human resources department to refer an injured worker to a particular physician, one who knows how to close down a case early. Note it is your body and your health care! You have the right to choose who you want treating you! If you’re in Oregon and have a work injury, you can get chiropractic care in two ways. After the injury call our chiropractic center immediately and schedule your appointment. If you go this method then you have 30 days of chiropractic care that’s covered for you to help heal your injuries. After 30 days if you still need treatment, we will refer you to a primary care provider to take over as the attending physician. Many times they will refer you back our office for continued care. If you have seen another doctor first, then they will be in charge of your care, but most of the time they won’t be the main treating doctor. In fact, the majority of the time they will refer you out to another provider to perform most of the treatment. In this regard you can request a referral for a chiropractor. 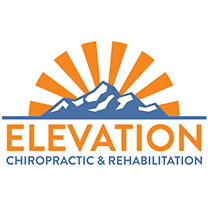 Ultimately it’s your health, make certain your physician recognizes that and provides you with the comprehensive rehabilitation care that you so desperately need and deserve. Our doctors are here for your rehabilitative needs. Our office specializes in comprehensive care and provides each patient with a full initial assessment. During assessment your doctor will devise a thorough and tailored treatment plan, and as you progress through treatment he will readjust your plan as needed to provide you with an ultimate care experience. Our doctors are on multiple workers compensation panels. If you’ve been injured, call us at 503-206-4620 and get in to see us first. As you can see from the facts above, it often will provide superior results to your injuries and pain.